I don't know when I first told this story. I simply remember telling stories in a children's tent, and one of the kids asked me to tell a story about Spiderman. I came up with this one. 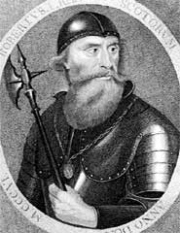 Robert the Bruce was the descendant of many Scottish, English and Norman nobles. He tried several times, in fact six times, to become King of Scotland. 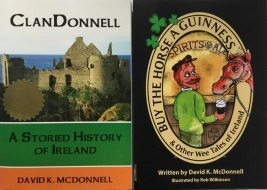 He was depicted in the movie Braveheart, with some historical inaccuracies. In fact, the name 'Braveheart' was actually given to Robert the Bruce, and not to William Wallace. I'll tell you why in a moment. But Robert the Bruce tried six times to become King of Scotland. He was defeated by England's King Edward I on the sixth attempt. He was then hidden by Angus Og MacDonald of ClanDonnell. For a considerable amount of time, Robert the Bruce was hidden on Rathlin Island, off the Ireland's Antrim coast. He lived then in a hut, and often hid in one of the many sea caves in the island. Robert the Bruce became very depressed. He was ready to give up his quest to become king. But while in his hut, he saw a spider weaving a web. The spider was hanging from a beam. The spider was swinging back and forth, trying to bring his web to the next beam. Six times he swung his web to the next beam. Each time he reached out for the beam. And each time he came short. On the seventh try, he made it. He now had a web from one beam to the next. Robert the Bruce took it as a sign. He realized that despite six failures, he had given up too early. He needed one more try to become king.